It is no secret that the chief prerequisite into getting into the finest institutions in the world is a track record of academic achievement. At GTT, we work with students with demonstrated academic promise to optimize their performance and ensure that their courses are in alignment with the rigor standards that top institutions require. We also partner with affiliate test prep companies that provide preparatory services at a discount for GTT students. Unfortunately, having a solid GPA and great admissions test scores will not guarantee you admissions into a top institution. This is where GTT shines. 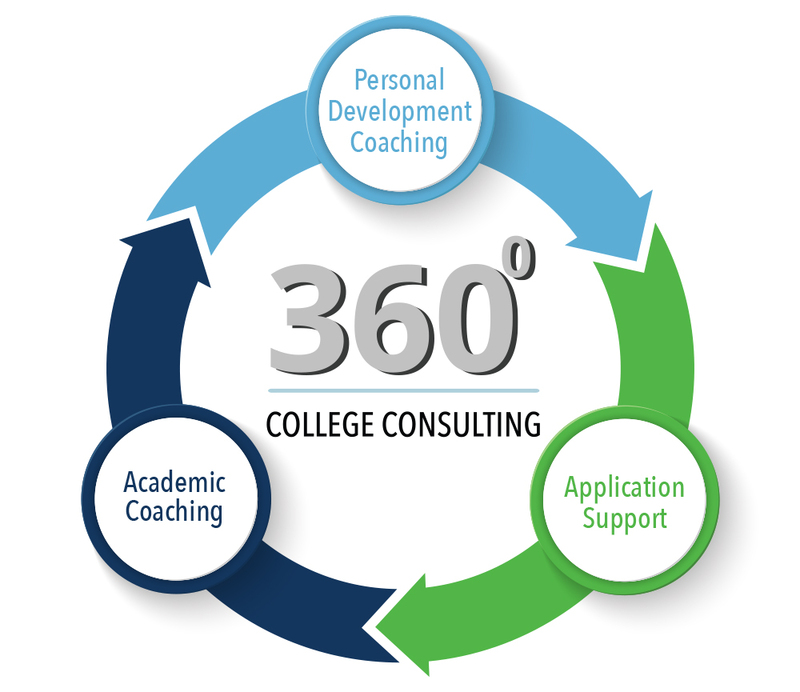 Our 360° College Consulting Program combines Academic Coaching, Personal Development Coaching and Application Support to help you rise above the competition by helping you identify your unique competitive advantage and blaze your own trail! Unlike other college consulting companies we focus on helping young people identify and hone their passions no matter what they may be. We have found that it is a lot easier to get a student more engaged in the process if we focus on what they naturally gravitate towards as opposed to pushing a fake interest only to impress a college admissions officer. If you didn’t already know, admissions officers are incredibly intelligent and they can tell a phony applicant a mile away. So, if you like baking or Pokémon Go more than you like art history and fencing, don’t fret, our college consultants can help you turn any passion into a personal competitive advantage that will leave admissions officers in awe. If you ask any admissions officer at a top institution what factors they look for in prospective students, they will invariably mention that leadership potential is essential. At GTT, we know that high potential students already have leadership potential and so we focus on enhancing your natural leadership abilities to make you stand out. While being Student Body President is a great accomplishment, we think you can do a little bit better and our consultants will show you how! At GTT, we believe true success in life encompasses community service. We also believe that you don’t have to be a full-fledged adult to make a difference. Our consultants will help you determine how you can make impactful and sustainable change in your local community or abroad. At GTT, our students are not only trailblazers, but also Change Agents. Preparing your college application is a daunting task that involves college selection, referee selections, application completion as well as essay writing. Our college consultants will help you develop a winning strategy. To stand out from the competition you need to be able to communicate your unique value to top institutions, you need to be able to articulate your personal brand. We’ll provide you with tactics and tools that will lead you through steps designed to help you create your personal brand and enable you to clearly communicate that brand – and your value – to everyone you meet. After all the hard work you’ve done to optimize your academic performance, develop your passions, enhance your leadership skills and contribute to your community, our college consultants will work with you to ensure that your achievements are conveyed in a compelling and engaging story. Our consultants do not write your essays for you but we are happy to help you identify a core theme, review and edit your essay, ensuring that your authentic voice and authentic experiences come through.